Farmer Boys is offering a special deal to make filing a little less taxing. On Monday, April 15, participating locations will be offering TWO Breakfast Burritos or TWO Double Big Cheeseburgers for $10.40 (regularly one for $6.99; $5.99) all day long. There is no limit to the promotion and no coupon is required. Take your tax break with SAJJ Mediterranean! 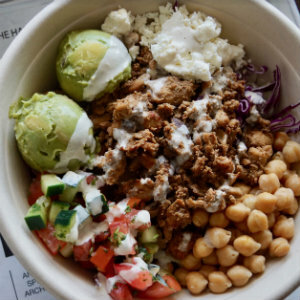 The health-focused Mediterranean fast casual wants to fuel your filing and will be offering $5 OFF orders made through the SAJJ Street Eats app between April 10-15. SAJJ Mediterranean has two locations in Orange County: Irvine and Rancho Santa Margarita.